Welcome To Rishikesh Stroboscope Pvt. Ltd.
Rishikesh Electromatic Pvt Ltd. introduces a website designed for stroboscope. 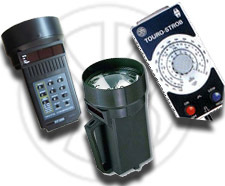 Industrial stroboscope, digital stroboscope, flashlight stroboscope, handheld stroboscopes. Stroboscope india, Stroboscopes india, Rishistrob, Rishikesh stroboscope, this stroboscopes are made under German Techincal know how and German collaborations in india. Waterproof Stroboscope (IP68) for rough treatment even in wetness environs with built-in rechargeable battery.